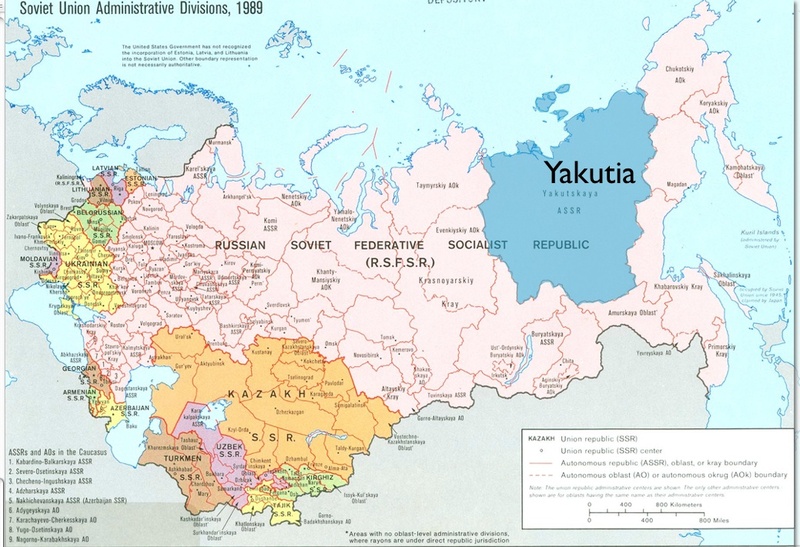 At the time of the Russia Revolution in 1917, the Yakuts (Sakha) were organizing on a national basis and pushing for autonomy and even sovereignty. Yakutia at the time was dominated by the Sakha, with Russians comprising only about ten percent of the population; even Yakutsk was a mainly Yakut town. The Sakha elite were relatively well educated and politically aware—due in part to the tutelage of Russian intellectual exiles. In February 1918, Yakutia formally declared its independence. 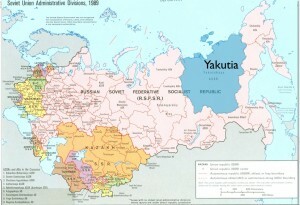 But rather than gaining a country, the Yakuts found themselves embroiled in the Russian Civil War. Devoted nationalists wanted to join with parts of far eastern Siberia to form a state under Japanese protection, but others Yakuts supported either the Bolsheviks or the anti-communist White Army. The political and administrative control over Yakutia also shifted back and forth like a pendulum. 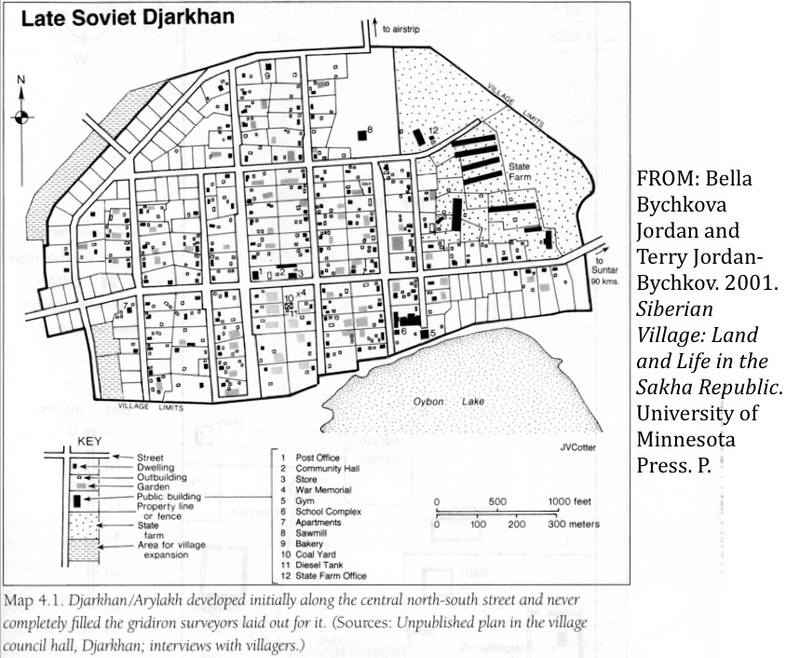 In the summer 1918 Bolshevik soviets were established in Yakutsk, Vilyusk, and in other towns across the region. But in November 1918 Yakutia fell into the hands of the White Army headed by Admiral Alexander Kolchak, the “Supreme ruler of Russia.” About a year later, the White government in Yakutia was liquidated and the Soviet power re-established. In September 1921 an anti-Bolshevik uprising broke out in Yakutia; insurgents called for—and received—help from the Russian émigrés in Harbin. In late March 1922 the White Army retook Yakutsk. Although the Russian Civil War supposedly came to an end in 1922, the last White forces in northern Siberia were not vanquished until the fall of 1923. A joint Evenk-Yakut ethnic uprising continued fighting until it was crushed by the Red Army in August 1925. 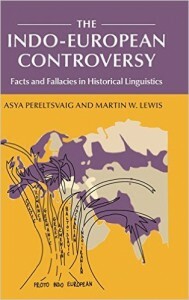 According to Forsyth, this seven-year struggle left much of Yakutia “in a state of devastation” (p. 257). Once the struggle was over, the transformation of Yakutia began in earnest. Moscow had created the Yakut Autonomous Soviet Socialist Republic in 1922, in accordance with Lenin’s nationalities policy. 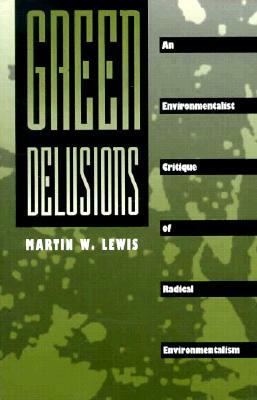 But as was the case elsewhere, its “autonomy” proved largely illusory. Moscow primarily looked to Yakutia to supply resources necessary for industrializing the country, and when major gold deposits were discovered in 1923, a rush ensued. 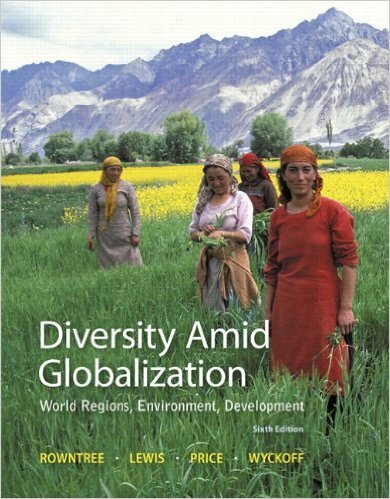 * Mining brought a demographic transformation. Most of the miners were Russian and a few were Korean or Chinese, but the number of Yakuts was negligible. The government of Yakutia did, however, have a certain degree of cultural authority. It helped create a formalized, literary Sakha language, based on traditional Yakut folklore, which was originally written in the Roman script, replaced in 1939 by a modified Cyrillic alphabet. Education was greatly enhanced, and journalism, theater, poetry, and fiction in the Sakha language were encouraged. 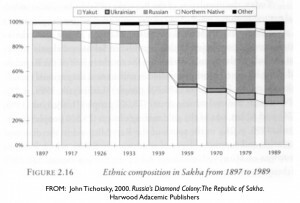 Many of the more traditional aspects of Sakha culture were not valued by the Bolsheviks. As early as 1924, Moscow outlawed Shamanism, although the practice persisted in surreptitious form. Stalin’s regime went so far as to ban the summer solstice festival (Ysyakh), the Yakut’s major annual event. As horses play a major role in Yakut culture, they are also central to the celebration of the Ysyakh, which involves the consumption of fermented mare’s milk, tethering a horse to a pole and circle dancing around it, as well as horse (or reindeer) racing. The holiday was much beloved among the Yakut, and after Stalin’s death it began to revive. The conclusion drawn … by the Central Committee of the Communist Party in Moscow was that the Yakut provincial committee had been too tolerant toward the national intelligentsia, and must in the future maintain a more consistent policy of class conflict by cultivating the support of the rural poor and squeezing the upper and middle classes out of positions of authority, as well as depriving them of their lands. In the 1930s, the Soviet government mandated agricultural collectivization in Yakutia, disrupting the rural economy. Enforced grain production was particularly damaging. Guided by the irrationally optimistic ideas of Trofim Lysenko, the state insisted on arable agriculture even in such impossible environments as that of frigid Verkhoyansk. As plowing advanced in central Yakutia, hay harvests were compromised, increasing livestock mortality and in some locales generating a human subsistence crisis. Some scholars have argued that hunger and malnutrition resulting from the period resulted in a decline in the Yakut total population from 240,500 in 1926 to 236,700 in 1959 (see Jordan-Bychkov and Bychkova Jordan, p. 65). Collectivization was resisted in Yakutia, as elsewhere, but resistance generally proved futile. Many Yakuts, it is essential to realize, supported the regime and its policies, especially those without land or herds who benefited from those policies. In 1933, almost half of the membership in the Communist Party of the autonomous republic was ethnically Yakut. Many Yakuts, moreover, had major leadership positions—although many of those leaders would be purged later in the decade. 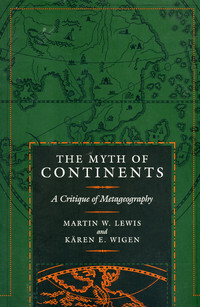 Improvements in education continued through the pre-war period, and the development of infrastructure made some progress. 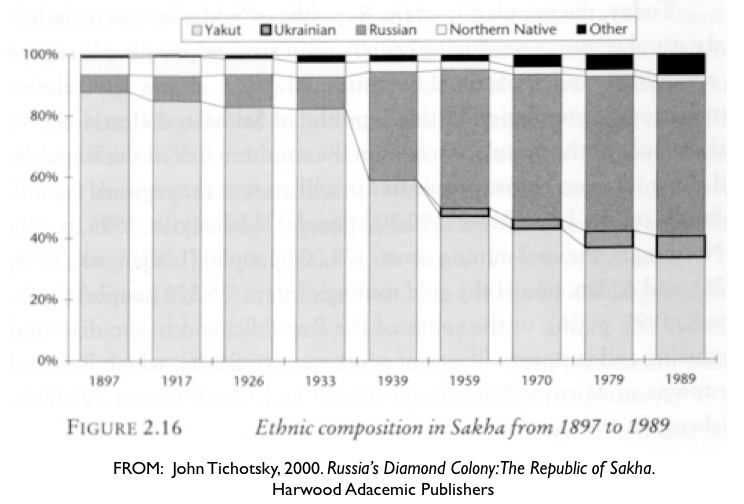 According to the 1939 census, 54 percent of the Sakha people over age nine were literate, a marked improvement from earlier times. Roads, although seasonally impassible, were constructed and electricity was brought to Yakutsk in the 1930s. Hamlets and homesteads were amalgamated into compact villages to enhance education and social services—and to maintain the state’s eye on the population. Such aggregation hampered hay cutting and firewood gathering, as longer trips to meadows and woods were required. Deforestation eventually became a problem around such amalgamated villages. 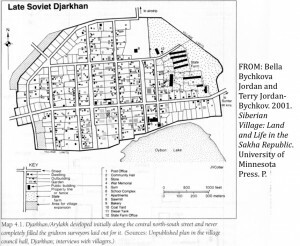 Conditions improved in Yakutia in the 1960s and 1970s, a period that Terry Jordan-Bychkov and Bella Bychkova Jordan call a “golden age.” Infrastructural development proceeded, machinery became more widely available, and wages rose. In central Yakutia, greenhouses were widely adopted, allowing the cultivation of cucumbers and other warm-season vegetables. Efforts to increase milk-production by replacing the native cattle with more productive breeds, however, was at best partly successful; although yields did improve, the new breeds of cattle were difficult to maintain, as they lacked adaptation to the cold. By the end of the Soviet period, the native Yakutian cattle were almost extinct. * Later gold strikes in the far northeast led the Russian government to carve out a new territory for its Dalstroy slave-camps, reducing the size of Yakutia.